Initiated from SPIN Exchange where BitBattle users can buy/sell SPIN used in battle rooms and make more money, nami.exchange has been developed to become a digital assets exchange platform like BTC, ETH, altcoins and other tokens. 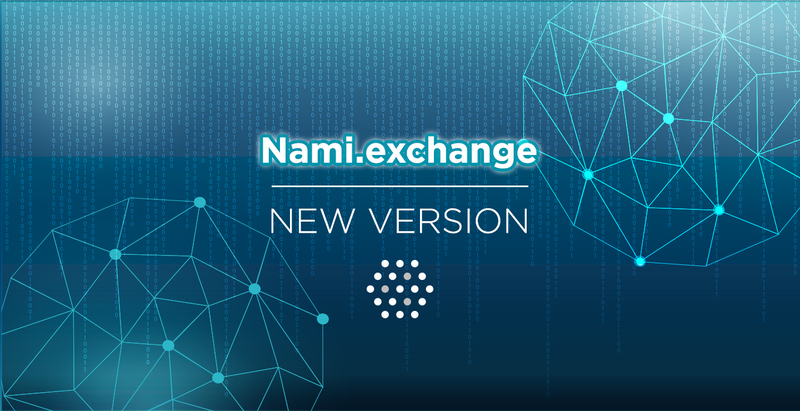 In the very first update, nami.exchange will support exchange of altcoins which users win from BitBattle Altcoin Rewards. This a new battle mode from BitBattle that awards users a random amount of Altcoins for each of their correct choice, like XRP, KNC, TOMO, XLM. Before, these altcoins are able to be converted to ETH only (on BitBattle automatic conversion) for further SPIN purchase on SPIN Exchange to go battles or withdraw (in ETH, with several kinds of fee like converting and withdrawal fees). BitBattle convertCurrently, on nami.exchange new version, users can exchange their Altcoins directly to SPIN (to go battles) or to their favorite tokens. Especially, nami.exchange costs you only 1 SPIN/transaction (about $1, depending on SPIN price), more reasonable than 10% converting fee. At first, nami.exchange will list ETH, SPIN pairing with BTC, DAI, XRP, XLM, KNC, KAT, DAI, DOGE, FNX (current tokens in BitBattle wallet). In the next few weeks, nami.exchange will open gateway for depositing and withdrawing ERC-20 tokens and BTC. Stay tuned for the update!